Stow-on-the-Wold is a big little Cotswold town. Confused? Don’t be, bear with us. 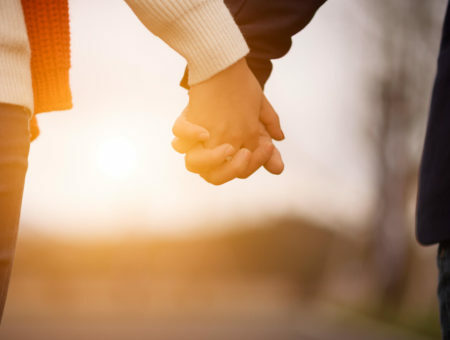 The Cotswolds is a 2000 square kilometres Area Outstanding Natural Beauty (AONB), but unlike most of the other AONB areas in the UK, the beauty of the Cotswolds is not just in the natural elements. 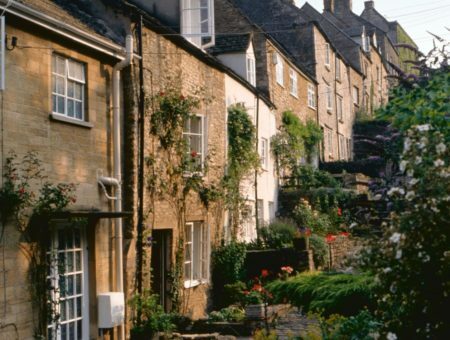 The beauty in the Cotswolds is also in the many small towns and villages where most of the houses are built in the famous Cotswold stone, a honey-coloured limestone that beautifully blends in with nature and gives the Cotswolds that chocolate-box look. Stow-on-the-Wold is by no means a large town, but it is a large town that has managed to maintain it’s small-town feel as well as the beauty that is the trademark of the Cotswolds. The square in the centre of Stow-on-the-Wold is steeped in history. In 1645 King Charles the 1st stayed over in what is now The King’s Arms on the square before The Battle of Naseby. Later in the 1940’s Stow-on-the-Wold was the battleground rather than a stop-over, when the final conflict of the English Civil War took place there. This is now referred to as The Battle of Stow-on-the-Wold. 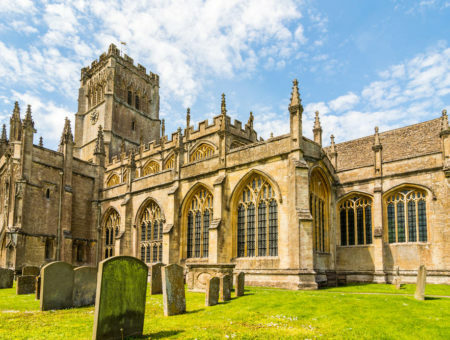 On a walk around the square today, you will see many remnants of these historical events, so for those interested in old English history, Stow-on-the-Wold is a must. Just off the square in Stow-on-the-Wold is a wonderful jeweller, India Mahon. The shop is beautiful, as it the jewellery, all designed right here in the Cotswolds by India Mahon herself. If you’re looking for a great dining pub experience in Stow-on-the-Wold, The White Hart is where you go. Excellent service, cosy décor and great food what more could one wish for? Nothing that’s what. Nikki says, “My family and I love The White Hart. We’ve been there for lunch and dinner many times and have always had a great time with great food and great service”. We just love a good cook shop don’t you? Well, Stow-on-the-Wold has the most amazing cook- and kitchen shop you could ever hope to visit. It is packed full of anything (and we really mean ANYTHING) you will ever need in a kitchen, from kitchen aids to help you cook, bake and create culinary masterpieces, plates, cutlery and all things for the table, fun and useful kitchen gadgets, the very best in cookbooks and much, much more. If you love a good kitchen shop, you will luuurve Scotts of Stow. Looking for that perfect cup of coffee? Look no further than New England Coffee House in Stow-on-the-Wold. Here even the most hardened coffee-snob (the only acceptable kind of snob!) will leave happy and contemplating their next visit. This lovely café serve coffee, tea and cake on 3 floors with quirky décor and a smile. Chris says, “If you, like me, love great coffee, you will love the coffee at New England Coffee House”. Stow-on-the-Wold is home of The Cotswold Chocolate Company, a fabulous little chocolate shop. Now, being a shop that sells chocolate would automatically get you on anyone’s list of lovely places to go in the Cotswolds, but this particular one has an extra draw, a window inside the shop where you get a look at what goes on in the back and that’s where they make the chocolate. Pop in to the shop and on most days you’ll be able to see the chocolatiers making all the delicious chocolate that goes on the shelves in the shop. So you’re in Stow-on-the-Wold because you love the town-feel, the shops and buzz of life, but you’re thinking a nice view of the Cotswold fields would also be nice you’re in luck, you can have both! Just a mile or so from the centre of the town is Wyck Hill House and the most wonderful terrace you can possibly imagine. Here you can sit back, have lunch, tea and cake or a glass of fizz while enjoying the stunning view of the lawn, woods and fields. A perfect, hidden gem in the Cotswolds. Mette says, “Nothing relaxes me more than an afternoon on the terrace at Wyck Hill House. On a sunny day that’s my ‘Go To’ place, with family, friends or with the kids, you’ll love it”. In 1646 a Royalist army came through the Cotswolds. They were trying to reach King Charles the 1st who, at this time, was in Oxford, but instead they were stopped in Stow-on-the-Wold by a Parliamentary force and a battle broke out. The Royalist Army suffered a great defeat with over 1000 of them imprisoned in the church. The Royalist army became the inspiration for the name of a pub, restaurant and hotel on the square in Stow-on-the-Wold, The Royalist (in 2013 refurbished and re-named The Porch House) but it is the time before it became The Royalist that is the most exciting about this building. It was built in Medieval times, in the year 782, by the Saxon Duke Aethelmar of Cornwall. At one point in the building’s early years, a witch must have lived there as the medieval fireplace still bears witches marks, the kind that was meant to ward off evil spirits. In the 16th and 17th century it housed a hospital, in the 1880’s a woman made and sold homemade sweets from there. In the 2nd World War the building was a military base due to it’s underground passages that connects the building to Maugersbury Manor. Today the building is a wonderful hotel and restaurant, The Porch House, one that is well worth a visit for both the beautifully restored rooms and the wonderful food in the restaurant, as well as all the history.